At Patisserie Royale we began producing our fine quality desserts and cakes back in 1998 in Dublin city centre. The company was founded by Derek Cowley and Kevin Murphy, who with many years of experience between them, brought substantial knowledge of the industry. Since then we have consistently grown our client base and increased our product range to serve demand and in 2006 moved to larger premises in the newly built South City Business Park in Tallaght, South Dublin. 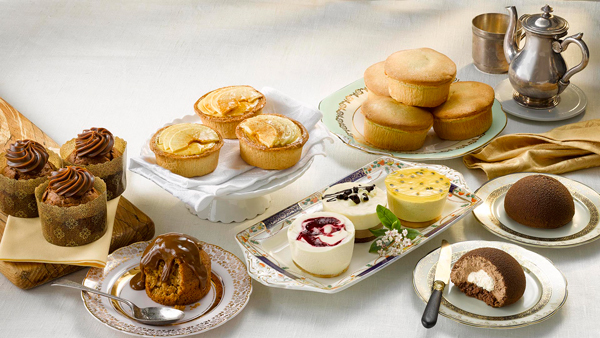 We now produce a wide variety of handcrafted pâtisseries from cheesecakes to gateaux, tarts, pies and mousses, both large and individual, along with our luxurious range of assiettes. We combine traditional pastry methods and recipes with our ability to produce large volumes. We work with all of our clients to ensure, whatever their pâtisserie requirements are, we will meet them. Our vision is to continue to build on the success we have had since 1998 and produce the finest handcrafted artisan products in the industry.